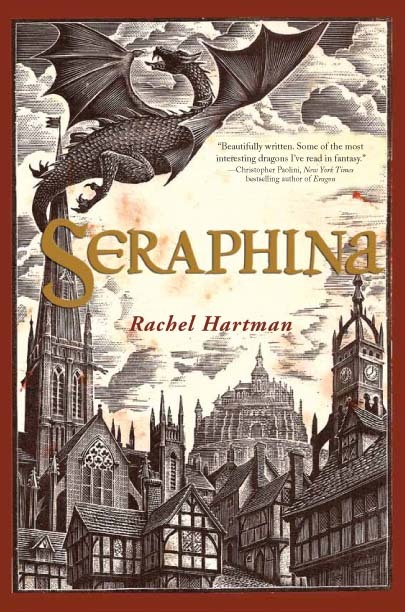 Seraphina's world was quite unique & fascinating for me as a reader. For me, the depiction of the dragons was the most unusual in literature since entering the world of Jo Walton's Tooth & Claw (a dragon laden social satire of Victorian society) (not that there's anything wrong w/books w/fire breathing reptilian flying cats). Besides the social-political commentary on inequality & class system, not unlike Bachmann's The Peculiar & Walton's T&C, one of the most successful aspects of the novel are the perspectives of the various types of dragons & dragon shape-shifters. dragons' perspectives & those of Aspies' experiences. . Hartman did an excellent job on describing the dragons' struggle of being physically & socially different (but at the same time have a sense of superiority over neuro typical, err, non dragons). If you aren't familiar w/Asperger's Syndrome, go online & search for the description of it & Sensory Processing Disorder as well. Then, go back & read Seraphina & find the correlation of those conditions & the dragons' experiences. I would love to read your perspective on this topic.